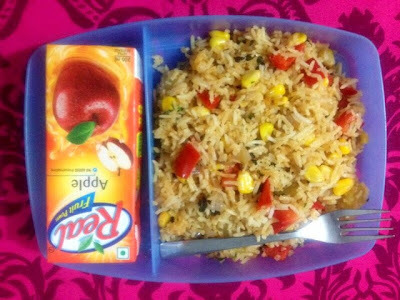 Rice is all time favourite. We can do lot of innovation while preparing rice. 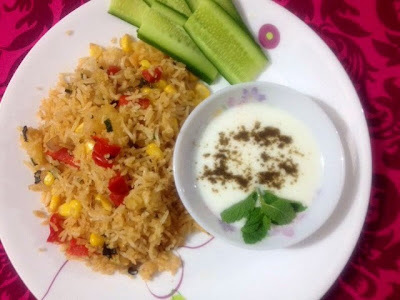 Pineapple and Sweet Corn Rice is a very easy and tasty fried rice which can be even made by left over boiled rice also. Heat the oil in pan and add the cummin seeds, Then add the chopped onion and saute it for 2 minute. 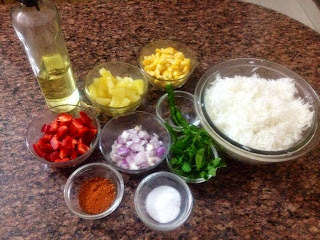 Rice is ready serve it hot with curd. Tips : You can use the left over rice also. You can add other vegetables like beans , capsicum, baby corn even few dry fruits . A nice tiffin option for our kids..